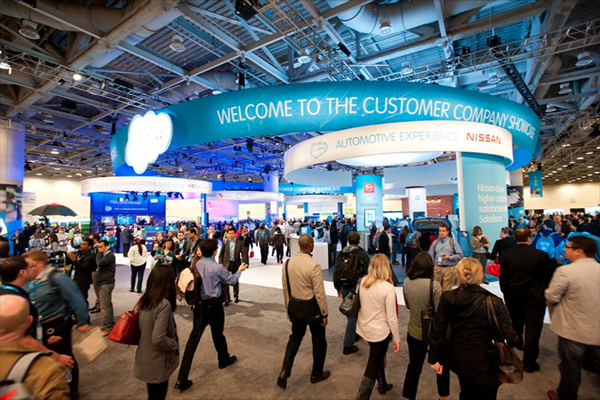 Students from the Olivet University Institute of Technology joined the 120,000 people who attended Salesforce's annual Dreamforce conference at San Francisco's Moscone Center. Top industry professionals gathered for a weeklong agenda of keynote speakers, training sessions, and networking. Olivet Institute of Technology students had the opportunity to learn about the latest trends for client management CRM and cloud data. The platform offers innovative ways to connect students with university activities and alumni through mobile, real-time analytics, web portals, team collaboration software, and custom apps. Dreamforce’s list of keynote speakers featured top Silicon Valley leaders including Salesforce CEO Marc Benioff, Yahoo CEO Marissa Mayer and Facebook COO Sheryl Sandberg. Students listened to innovative business leaders during roundtable discussions and experienced hands-on coding with developers at various workshops. Other events included the Service Cloud Keynote, ExactTarget Marketing Cloud Keynote, Mobile Strategy Keynote, Developer Keynote for building next generation apps, and more. Olivet students were exposed to broader views and found inspiration towards their professional studies from Salesforce’s annual expo. Salesforce.com Inc. is a global cloud computing company headquartered in San Francisco, California. Though best known for its customer relationship management (CRM) product, Salesforce has also expanded into the "social enterprise arena" and is currently ranked among the most innovative companies in America.